POWDER GOLD Blanket weed Eradicator. Will rapidly clear your pond of Blanket weed!!! For use only with Koi Carp. 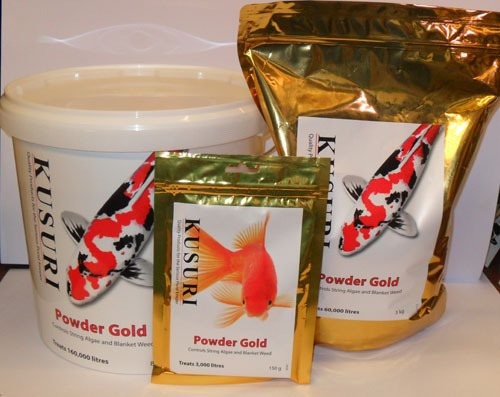 1kg POWDER GOLD Treats 4400 Gallons. After blanketweed has gone use Eco Pure to keep away.